Protestant Episcopal Church in the Confederate States of America. A Catechism to Be Taught Orally To Those Who Cannot Read; Designed Especially for the Instruction of the Slaves. A Catechism to Be Taught Orally To Those Who Cannot Read; Designed Especially for the Instruction of the Slaves. 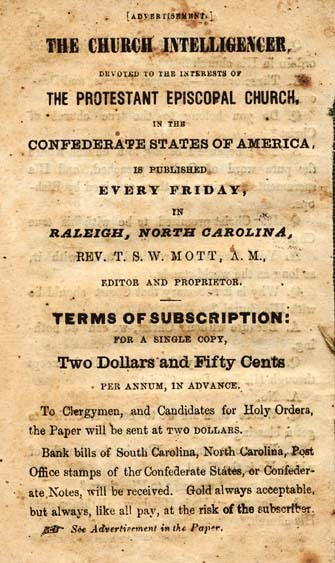 Raleigh: Office of "The Church Intelligencer", 1862.